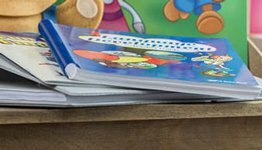 Prepare for the most important subject you could teach your child with the Grade 3 Bible Curriculum Lesson Plans. 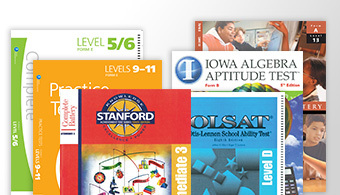 This guide gives you 170 detailed lesson plans plus 6 tests with an answer key to teach and evaluate your child. 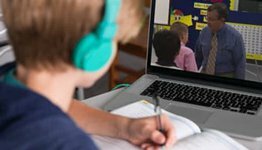 Each lesson prompts you to say the Pledge of Allegiance, sing songs from the Sing unto the Lord songbook, pray, review doctrinal truths, practice memorizing Scripture, and teaching Bible stories through Abeka Flash-a-Cards. 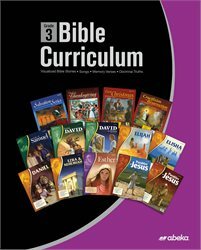 With added helps such as a scope and sequence, a guide to lead a child to Christ, tips for teaching Bible, a suggested class schedule, and reviewing ideas, this curriculum along with other items in the Grade 3 Bible Kit will prepare you to teach your child basic Bible truths.